So you can live the life you want free from money worries. Every situation is different which is why we provide a unique, customised solution - one that takes into account your needs and focuses on the best outcome for you. The budget plan we design is based on an in-depth analysis of your finances. We help you to explore your options and develop a strategy that achieves your desired goals, tailored to your lifestyle. We've helped more than 108,000 people take control of their finances and achieve their goals. We analyse your situation and design a customised budget plan to help you achieve your goals. We help you stay on track and achieve your goals faster by managing your budget for you. You know where your money is going because our system tracks it for you online. Our expert staff are passionately committed to helping you. We assist clients to make informed decisions. Our methods are proven to help people in debt and put you on the path to success. It's easier to succeed when you have a team of experts and client coaches supporting you. 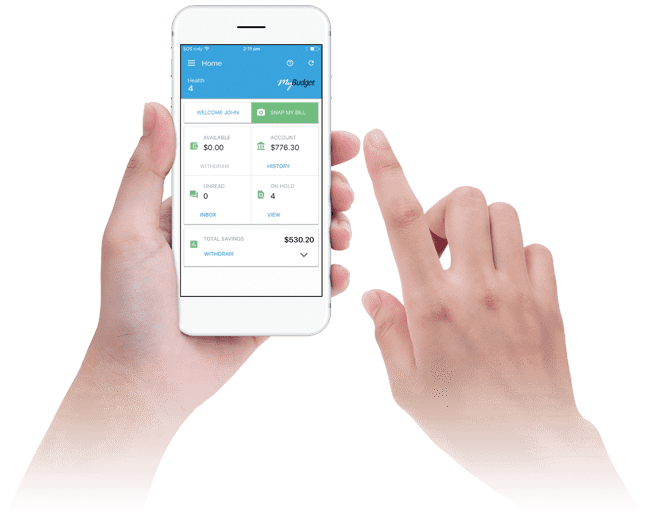 MyBudget fast facts. The proof is in the numbers. Budgeting is only something you do when money is tight. Budgeting is the cornerstone of good money management. A good budget will provide detailed insights into your financial situation and show you how to achieve your financial goals in the future. It is the only way to know exactly where your money is going and how to make it work more effectively - not just when money is tight. I don’t earn enough to be able to save. It's easy to feel like you'll never get ahead. Even people with high salaries can struggle to make ends meet. However with a realistic budget in place, you can stop living week to week and start saving. A tailored budget will show how to improve your cash flow, reduce expenses and make saving possible. With the right structure in place to manage the money coming in and going out, you can save for that house deposit, dream holiday, home renovations or new car. I’ve tried budgeting and it doesn’t work. When most people make a budget for themselves, they take a short-term view, usually pay to pay. A MyBudget budget is different. We customise a detailed long-range budget plan just for you that anticipates all of your expenses over a 12 month period. We can also help you stick to your budget and achieve your goals faster by managing your budget for you and providing discipline and support to help you stay on track. Debt Consolidation is always the answer. Debt consolidation - whether in the form of a loan or formal debt agreement - can have implications. That's why it is important to investigate your options and make an informed decision. For some people, debt consolidation may be a viable option. We can work with you to determine what your options are and how they may impact you. Manage all your goals from one account. Fast, secure and easy access to your budget, any time.